Hyde Street Pier Model Shipwrights member Mark Rosenbush, one of the newest members of our group, reported in on his trip to Philadelphia today where he is currently on the scene and completed touring some of the ships there including the newly built reconstruction of the 32-gun French frigate L’Hermione. The original ship brought the young Major General Lafayette, only 21 at the time, to Boston in 1780 to fight along side the Americans who were fighting for their independence from Great Britain. 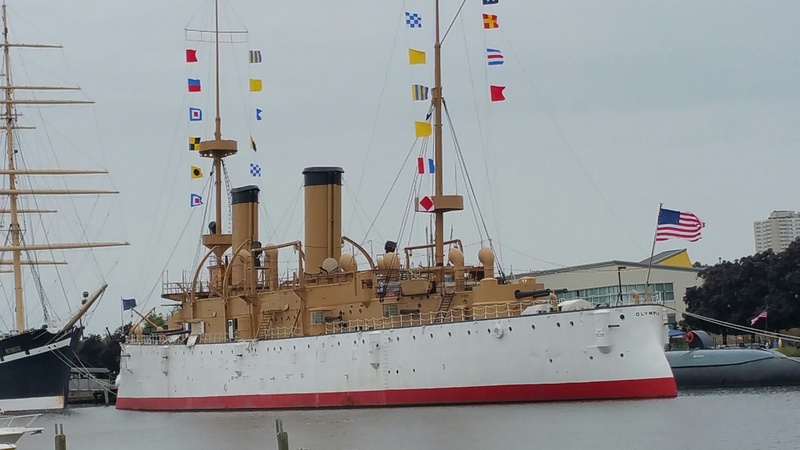 Of course, there’s much more to the story and much more about the modern reconstruction which recently sailed across the Atlantic from France where it was built. Mark says he took at least 100 photos on his tour of the Hermoine and other ships. He’ll be bringing these back with him and maybe we can coax a slide show at an upcoming meeting. 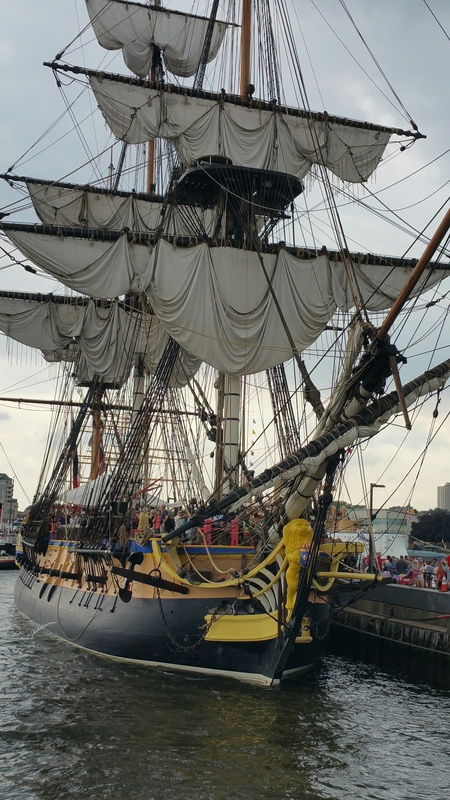 This entry was posted in Club Members, Club News, News and tagged French Frigate, General Lafayette, L'Hermione, USS Olympia by catopower. Bookmark the permalink.